Weatherproof Custom Service Labels | 2.5" x 1.5"
These Durable Service Labels are both weatherproof and waterproof. They are the perfect solution for labeling outdoor equipment, air conditioning or heating units, or even vehicles or boats. Made of brushed silver polyester, these labels provide superior durability and permanent adhesive to withstand even the toughest conditions. Each roll can be fully customized with your messaging to meet your specific purpose. Ideal for outdoor and indoor durable labeling of most serviceable equipment including air conditioning units, propane tanks, pool pumps and equipment, overhead doors, automatic gates, rental machines, vending machines, industrial equipment etc. Specify layout, design, fonts, etc. Proof Available: Once the text or artwork is received and evaluated, a proof will be available if requested at time of purchase. Simply note in the custom message or email "Proof Requested." If no custom label proof is requested, your custom label order is immediately moved into our production queue and is non-refundable following production. Simply select the customize label button above to quickly and easily design your own custom weatherproof labels. Comments about Weatherproof Custom Service Labels | 2.5" x 1.5"
I use these on outdoor/indoor rodent bait stations to comply with regulations for the labeling of poisonous rodenticides. These labels hold up exceptionally well to outdoor environments, withstanding high moisture and cold/hot temperatures. Hold up better than plastic bait station labels which are prone to cracking after extensive UV exposure. The labels I placed over a year ago look new and are still secured with no signs of needing to be replaced. Great labels printed and shipped fast 3 days to my door!!!!! 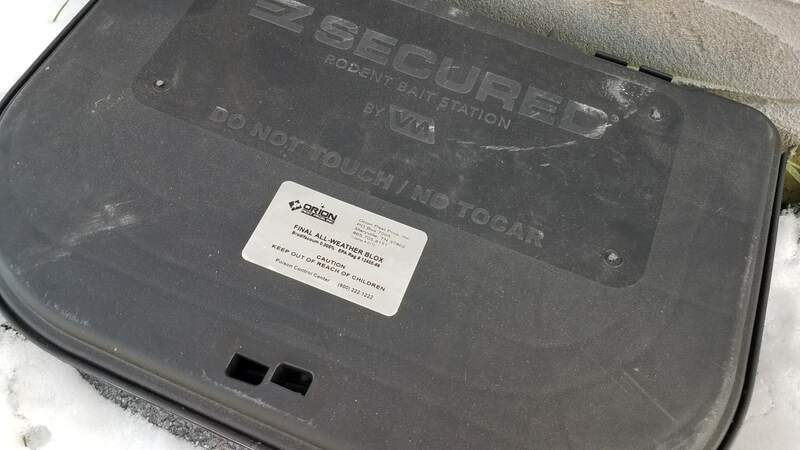 I use on plastic rodent bait stations that are mostly outdoor...never had any fading or any labels coming off, and some have been out in the weather for years. Large Weatherproof Custom Service Labels | 4" x 3"
Weatherproof Custom Service Labels | 3" x 2"